Explore the beautiful golden beaches of Mazatlan on your next vacation! 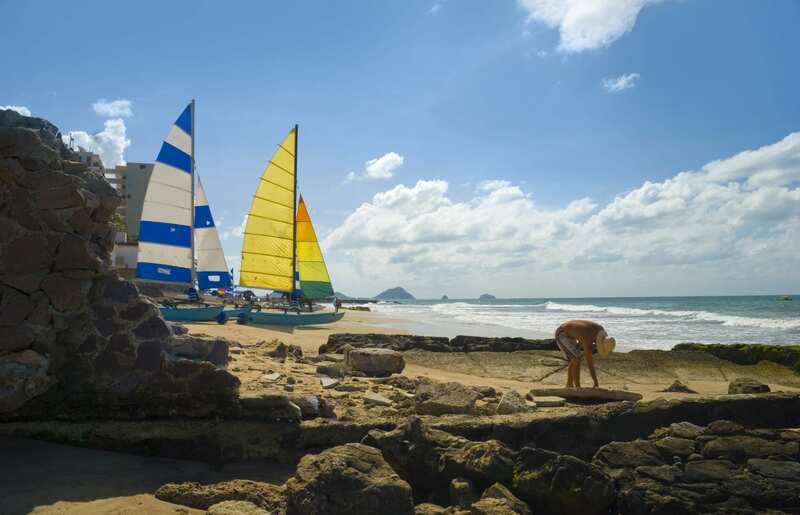 Surrounded by the Sierra Madre Mountains, Mazatlan is known for its beautiful golden beaches and relaxing atmosphere. Walk on the shores of the Pacific Ocean, visit beautiful cathedrals and historic sites, shop for traditional Mexican handicrafts in the open air markets, and eat some of the best seafood around. Select a Mexico destination to learn more about what the city has to offer!